Click here to be taken to Amazon.com for the movie. Click here to be taken to Amazon.com to find the book set. Click here for the Scholastic discussion guide. The Chronicles of Narnia is a series of seven books written by C.S. Lewis. This is an incredible series that shares the stories and beliefs of the Bible. If you didn't know about the Bible you would miss the analogies and correlations. If you do understand Christianity, it makes these books amazingly orchestrated works of art! The author, C.S. Lewis, was born in England in 1898. He was an Oxford scholar and an Atheist, that is, until he met his wife. His journey with her was short and sad but it brought him to his knees and to Christianity. He was a classmate of J.R.R. Tolkien (Lord of the Rings). The were both in an Oxford literary group called the "Inklings." You can hear the same literary style in their published works. 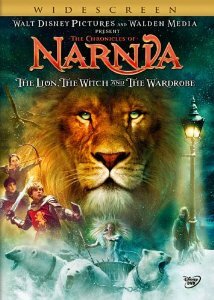 The most popular book in the Narnia series is entitled, "The Lion, Witch and the Wardrobe." It is a wonderful story about four very curious children. It was written during the "blitzkrieg," the German attack on England during World War II. The story leads the children out of London and through a magical wardrobe to visions of fauns, witches, beavers, and frozen winters. The reading level of these books are 3rd through 6th grade. They are wonderful books to read to your children, if they aren't old enough to read it to themselves. Scholastic has discussion guides to help you engage your children in conversations about the literary elements, comprehension and critical thinking elements of the books. Three of the books in the series were made into movies (The Lion, Witch and Wardrobe, The Dawn Trader and Prince Caspian). 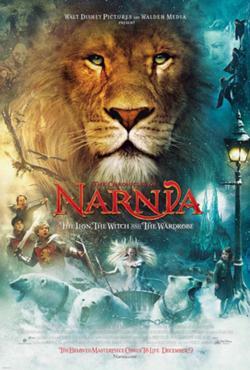 The highest grossing of the three movies was The Lion, Witch and Wardrobe. In 2014 our pastors at North Scottsdale United Methodist church presented a sermon series on the seven book series. We are leaving this information on our web page because these books give us a such a fabulous way to discuss God and the hope and faith that are part of Christianity. Click on the movie poster above to be taken to the movie website.